most important of these appears to be glutathione peroxidase (GPX). GPX uses glutathione to reduce hydrogen peroxide and thus protect cells and plasma against free radical injury. GPX activity depends on an adequate supply of dietary selenium. 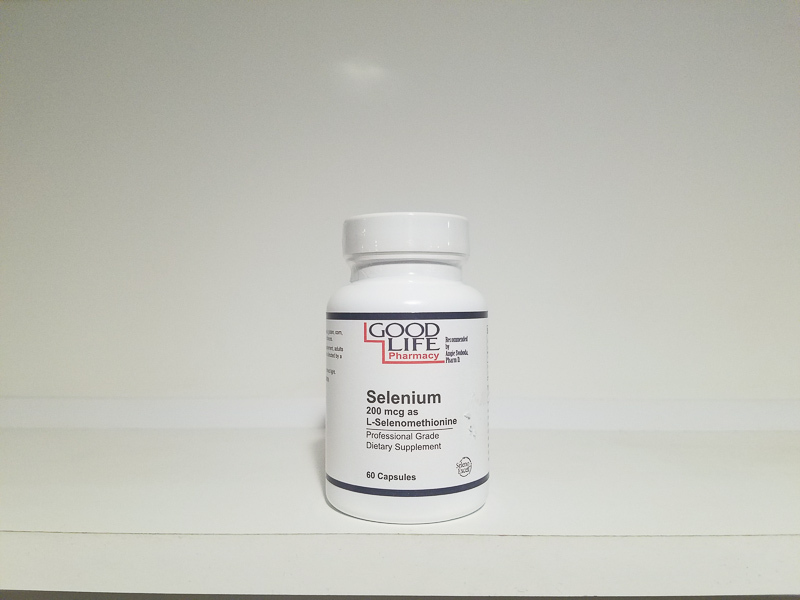 Recently, selenium as selenocysteine has been identi ed in the active center of type 1 and 3 iodothyronine deiodinases, two important enzymes regulating the formation and degradation of the active thyroid hormone, triiodothyronine (T3). Another important selenoprotein appears to be selenoprotein P, but its functions remain unclear. Selenium and vitamin E appear to have synergistic effects, since some signs of vitamin E deficiency in animals can be alleviated by dietary selenium. Dietary selenium is generally well absorbed and utilized in the body. The richest food sources of selenium are seafood and organ meats, followed by muscle meats, cereals and grains, and dairy products. Fruits and vegetables are typically low in selenium, and low selenium status has been reported in vegetarians.